2. On the left hand side panel, click Student Services | Final Grades. 3. 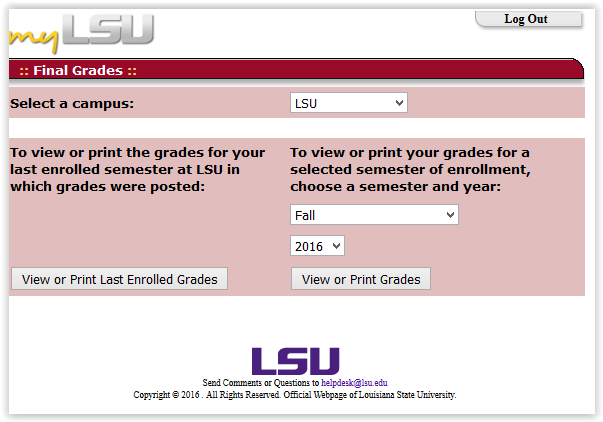 Here you will be able to select the semester and year of the grades you would like to see. PLEASE NOTE: If there are any questions regarding your grades, please call the Registrar’s office at 578-1686.